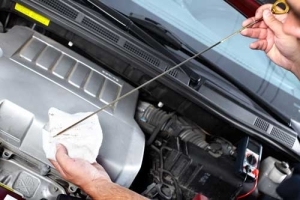 Nothing keeps your car’s engine in good condition more effectively than simply changing the oil regularly. Today we have choices: organic vs. synthetic or blends… high mileage vs. gas saving… spark rated or combustion. That’s a lot of different choices, and choosing wrong can cost you in all sorts of ways. That’s okay: Your friends at your nearby Cottman center can help. Their technicians have a thorough knowledge of the different types of engine oils on the market, and they know how to choose the right one to match your vehicle, your engine, and your personal driving habits. And, if your schedule’s tight, they’ll be happy to work out a time when you can come by and have your car’s oil changed while you wait, so you don’t have to give up your transportation for a simple oil change. What’s more, while they have your car on the lift, they’ll look it over to make sure there’s nothing that needs attention. Filters, hoses, belts, tires, and more will all get a thorough examination. And if anything needs attention they’ll let you know, give you an estimate, and work out a time that’s good for you to get everything back to like-new condition. Most importantly, the oil changes you have done at your local Cottman center meet the standards to keep your vehicle warranty in effect. And they keep records of those oil changes, so if there’s ever a question about what was done and how often, you can ask for a report to prove you’ve met your car’s maintenance requirements. If you have any questions about your car’s engine oil, or would like to schedule a time to have the oil changed, give your local Cottman center a call. They’ll set up a time that works best for you, and get you in and out in a flash!